Commonwealth Preservation Group (CPG) is a small woman-owned business established in 2004. CPG provides preservation planning, historic rehabilitation tax credit, historic resource and National Register nomination consulting services across the Commonwealth of Virginia and in neighboring states. CPG has worked with homeowners, architects, historical societies, developers, religious institutions, and municipalities to guide proper rehabilitation of historic buildings, identify and survey historic resources, and to promote sound preservation planning. To date, CPG has consulted on over 400 Historic Rehabilitation Tax Credit projects totaling over $500 million in construction activity. 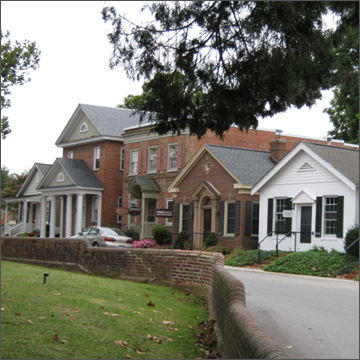 In addition, CPG has completed over 40 historic district and individual nominations for properties listed on the Virginia Landmarks Register and the National Register of Historic Places; this designation not only provides state and federal recognition of historic resources, but also opens the door to the availability of historic tax credits for contributing buildings. Commonwealth Preservation Group strives to balance historic preservation considerations with modern requirements imposed by codes, technology and user needs for the benefit of our clients and their historic properties. Our office is located in Norfolk, VA.